The coming 2013 will be held under the number 6 (the result of adding all the digits of the year), and it means that we have experienced a turning point, and we continue to strive for excellence. That’s just up the road to a brighter future, usually thorny. What else shall we numerology 2013? This we will now discuss. Six – the number of change of ruling dynasties, as an attempt to improve the lives, often – by force. If you take the numerology of the twentieth century and early twenty-first, it can be seen that trend – in the years going by the number 6, in our country and around the world, there were events that are not only themselves were anxious, but had devastating consequences. In these years, a rebellion, revolution occurred and attempted leaders, deposed the government and dissolve parliament, the war begins. With the improvement of weapons of rebellion and strikes were replaced by the terrorist attacks, but it had the same impact on the attempts of the ruling party. As well as the spheres of influence. 1905. Strikes and uprisings around the world, the February Revolution in Russia. 1914. The First World War, the resignation of the government in Albania uprising Peruvian Army – President deposed and expelled from the country, killing the heir to the Austrian throne. 1923. The military coup in Spain uprising in Bulgaria, Germany, Poland, Austria, the resignation of the president of China. 1932. Kill the president of France. 1941. The Great Patriotic War in the USSR, a coup in Yugoslavia. 1950. In Europe, the dissolution of parliament, the resignation of cabinet ministers and governments in several large states, coups. 1959. The resignation of Mao Zedong and the Government of Indonesia, a military coup in Laos. 1968. War strikes in France Vietnam War. 1977. The military coup in Thailand kill the president of North Yemen. 1986. Murder in Stockholm of the Prime Minister and the death of the President of Mozambique, an attempt on Chilean dictator Augusto Pinochet. 1995. The attempt on Shevardnadze, mass attacks. 2004. Beslan, Moscow, Arkhangelsk, Voronezh, Madrid; death of Chechen President Akhmad Kadyrov regime change in Iraq. All this shows that in the periods corresponding to six numerology, events tend to be abrupt change of power, and that by 2013 we can expect the same events that will change the policy and possibly the geopolitics of many countries. However, as the snake – being wise, it is unlikely to prevent mass disturbances, especially in our country. So, most likely, the pressure on the government will not power, but to some other – intellectual or legal. The most interesting is that a relatively quiet year six of the entire series was only 1977. This year was just under the protection of the Snake. The fact is that notwithstanding that we have this year’s event were the only ones of this scale, while in other years the list could go on and on. So hope for a peaceful settlement of the conflict, we still have. And therefore move on to other properties of the number six, which will affect our lives in 2013. And this influence is basically will be mostly positive. Creativity. Caring for their neighbors. Family. Friendship, love, marriage. Responsibility for others, mutual aid. Ability not only to take but to give. Find the benefits of their actions. Interaction and constructive dialogue with partners in business and in the family. Craving for art and education. Understanding and desire to be understood. Reciprocity in all. Six – the number of the search for harmony, so we will have to see themselves as a person, to determine what is primary and what – again. Although, as has been said, the way to harmony, as a rule, is based on the destruction of the old and obsolete, through pain and trouble we all come to the same state, the approach to peace of mind. Six – something mysterious and unknown. It is difficult to know, staying in the personal status of the inhabitant. It requires new knowledge, spiritual growth, penetrating the secrets of the universe and the mysteries of the universe. Since 2013 – the year of the Snake, there are no less mysterious than the six, it will be involved and esoteric knowledge. There is a possibility of formation of new mystical order, which will attract to his many followers, because people would be a little open and standard of knowledge. Six tends to art, so even those who are engaged in is a practical activity, will try myself in any work or will patronize the theater, literature, painting. Increase the number of patrons, there will be new foundations to support the development of culture. Six forwards on the path of enlightenment. Much attention will be paid to the educational system. There is a possibility of serious changes in the curriculum, in the principles of the transition from one school to another. The quality of education will be higher requirements, both at the state level and in employment. Six – is responsible for what a person does, and for the people with whom he interacts. Therefore, despite some alienation, which will bring in relation Snake, people are attentive to the needs of others, will be awareness and compassion. Though not entirely disinterested. And Snake, and six are notorious for not doing anything for nothing. They always need to know why they work and sacrifice something. Six and interacts with the element of water, she had her second number (the first – one). Six is ​​an even number, the number is considered feminine, it also corresponds to the sign in 2013 – Yin (feminine). So much confrontation should arise. These increases are in harmony, which gradually will affect the human characters. It is likely that in the second half of 2013 will be less unpleasant events happen reassessment of values, there will be other needs. Six – the number of partnerships. Therefore, it is important will be the new unions – both in private and in business life. In general, in 2013 – the time of collective action, and that constructive cooperation will give the best results. While Snake and here has an impact: since she favors scientists and creators of art, individual projects will also be successful. But do not forget what you are doing you are alone, and live in society. Either six or snake can not tolerate rudeness, conceit and snobbery. Another point of contact between six and Snakes – helping other people. But here lies a trap: both tend to be the patron, the fact that helping someone make of this man’s eternal debtor. So, before you take care of someone, think about whether you are ready for a long time to feel obligated to those who came to you to the rescue. The more that you will constantly be reminded. 2013 by its numerological essence tune VI Arcana Tarot, called “Love”. Despite its romantic name, the card in the first place indicates the need for choice. So in the coming year, we are constantly making important, vital decisions. Any turn will be followed by intense reflection and weighing of the possible risks, consequences and benefits. To us in 2013 will always be two ways, and depending on which way to go, each of us will develop life, but not a single person, but a collection of people – the nation, the working group, and family. Each of us has a responsibility for the future of our country, our home, all of humanity, so any careless step could cause a global catastrophe. Sixth Arcanum Tarot calls for caution, and thus recalls the spirit prevails over the flesh. Love relationship in 2013, will bring joy and fun, but will promise only if you approach it thoughtfully and seriously and maturely. By the way, so are love and Snake, and classical numerological six. And VI Arkan is hatred, struggle for life and death. These are mainly related to the social life, but does not rule out a wave of divorces of couples on the basis of the fact that love has degenerated into an absolute rejection of the partner. However, the card is “Lovers” and promises a strong affection, and the acquisition of the second half, and nice friendly meeting and interacting with people with whom you have not only friendship but also some joint financial or creative projects. To sum up: 2013 promises to be simple, easy and pleasurable. In social terms, and at the state level will be a lot of unpleasant events that may trigger a change of government. However, people still will be a little kinder, are more interested in arts and sciences and the lives of others. Many will meet their true love, finding not only the second half, but the person with whom you can build a business together or create. 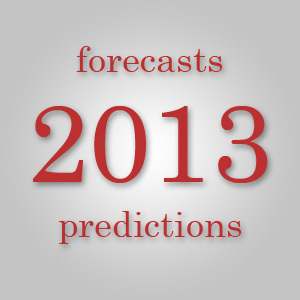 To learn forecast for 2013 is for you, you need to calculate your destiny number. For example: Date of birth 12.03.1981, the calculation is as follows: 1+2+0+3+1+9+8+1 = 25 = 2+5 = 7, where 7 is your magic number, the value of which is shown below. 1 – For You in 2013 – promises to be very fruitful and calm. From the person requires a maximum of wisdom, deliberation in each step. Success will be in the work – from hard work, personal life – from tact. 2 – numerology forecast 2013 will help restore the long-lost relationship. At first seem that everything is moving too slowly – do not pick up the pace, things can only culminate in failure. But if you have patience, you can get even more than expected. 3 – Feel that the rapid flow of life does not make it. But if you show perseverance, patience and ingenuity, you can slowly but surely fulfill all obligations. For number 3 – the year of change, but only those that have been planned in advance. 4 – This figure brings the owner in 2013, reliability and peace of mind. All the changes in this year will be used only for the benefit, not only to the holder 4, and loved ones. Most importantly, a sense of proportion – because opportunities are limited. 5 – Alas, numerological horoscope for 2013 states that this is not your year. Trouble, confusion, loss … And all because of that 5 does not fit into the framework of a calm 6. 6 – This figure will help to realize it. People will demand an employee due to diplomacy and the ability to wait. The main thing is to be able to quickly went to work, and this is like the boss. But the change in his personal life is not worth the wait. 7 – Change will be difficult. Success awaits only the people invited. Initiative expects misunderstanding. It is better to take the first step in his personal life. 8 – Peace of mind. What went wrong in 2012, will become the norm in 2013. Eight – she loved and the center of attention. In ups will not, but problems too. 9 – Success, definitely. Mood – excellent. Rapport with someone stronger. Small argument – nothing, but not avoided. Numerological horoscope for 2013 is under six figures. Six responsible for calmness, the absence of any – or surprises. Achieve success only by those with diplomacy, flexibility, character, and those who know how to listen and listen. 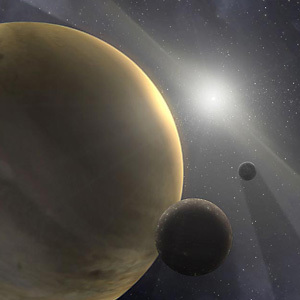 Numerological horoscope for 2013 requires a thoughtful and extremely cautious attitude towards life, we must be able to extract lessons from the past years already and it is advisable not to make new mistakes. Activity is low, and even less fuss. Fortress relationship the lovers will depend entirely on the ability to understand each other.